Your Network - Network security strategies typically protect the network and infrastructure from intrusion-whether that be direct intrusion or via the dispersal of malware. Your Applications - Whether your applications are hosted in the cloud or in your own onsite servers, application security protects programs that have access to all your data. Your Data - Data security strategies are created to add additional layers of protection to any data you can’t afford to have shared or stolen. Your Disaster Recovery - Systems that are deliberately set up to protect your digital assets in case of a disaster need their own protection. Policies - In order for you to properly protect your network and infrastructure from your staff, you need to have some very forthcoming policies set out so there are expectations attached to your cybersecurity initiatives. One qualification that should be explained is that many organizations look to cloud-hosted solutions to improve organizational collaborative capabilities, reduce capital costs, and to add useful and scalable computing resources, among other benefits. Some IT professionals have stopped using the moat and castle analogy since with cloud systems in tow, the actual perimeter of the network reaches inside the very place that perimeter security is securing against. In cybersecurity circles, the dedicated secure perimeter strategy has been replaced by the “Zero Trust” strategy. This system is one where validation is paramount. This also makes it very resource intensive. If everyone is a possible threat - which they are - building near-impenetrable defense requires this type of diligence. Network security is crucial for any business because once someone gets access to the network, unless applications, databases, and the like are individually protected, any infiltrator worth his/her salt will be able to corrupt and/or steal the information they are seeking to corrupt/steal from there. This is why it is important that every person in your organization is aware of, and in constant compliance of, static rules that govern your organization’s network security strategy. Sure, most of the heavy lifting is going to be done by your IT technicians, whether they are employees of your organization or outsourced experts. Putting in place the strategies and products necessary to keep the network safe from the outside, and providing the staff training that’s needed to keep it secure from the inside, are both critical parts of a business’ network security strategy. Furthermore, in order to really secure your network from harm, you, without question, need to back up your data. Ensuring that you have a workable copy of your business’ day-to-day data is essential for it to stave of ruin in the case it is inundated with a disaster: malware attack or otherwise. Since a lot of organizations subscribe to a Bring Your Own Device (BYOD) strategy, there are often a lot of devices that have to be protected so that the network can be. Today, larger enterprises are routinely attempting to circumvent any attempts at infiltration, but smaller organizations typically use strategies like two-factor authentication to ensure that the people--and devices--that can access network-attached data are safe for employees to access that data on. 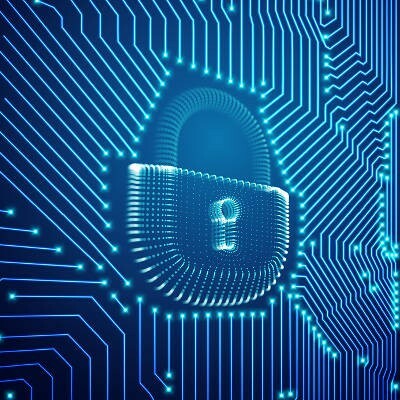 Application security, again, is often seen as an element of network security, but ensuring that all the software that you utilize is properly updated and has had any potential vulnerabilities patched is an important part of securing your applications. The most pronounced strategy used to secure software is patch management, which, like its name suggests, is the act of patching potential vulnerabilities as to not leave holes in your network. Since every piece of security that you deploy is put in place to protect your organization’s data from theft or compromise, there is a whole other side to data security: education. In order to ensure that your employees don’t put your organization’s cybersecurity efforts at risk, you need to be able to properly train your staff on the best practices of individual data security, and how to approach the outside threats they very well might encounter. Knowledge of how to handle phishing emails and messages, social engineering, and other nefarious practices will always be a benefit to the organization, so prioritizing employee engagement in mitigating threats is essential to any business cyber security strategy. How does your organization stack up? Do you prioritize cyber security training? Do you secure every layer of your business’ IT infrastructure? If there is any doubt, call the IT experts at Global Tech Solutions to talk about how you can better protect your business from data loss, theft, and malware attacks. To learn more call us today at (800) 484-0195.